Shravasti, an ancient city connected with Gautama Buddha's lifetime, is one of the important Buddhist pilgrimage centers of India. There are ancient stūpas, grand vihāras and monasteries constructed by different countries such as South Korea, Śrī Lanka, Myanmar, Thailand and so on. It certainly has become an important historical and religious attraction for the Buddhists and tourists alike, from all over the world. India is the largest country in South Asia with a population of 940 million. The country is divided into twenty-nine states and seven union territories. 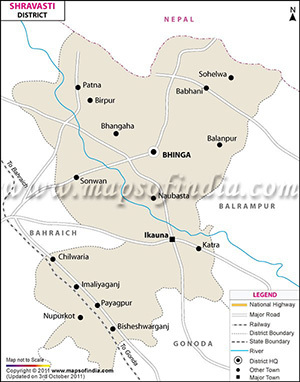 Shravasti is one of the newly created districts in the north east the state of of Uttar Pradesh near the river Rapti, approximately 175 kilometers away from Lucknow, the state capital. Bhinga town is the district headquarters. The district covers an area of approximately 1,948.20 sq. km., with a population of 1.11million as estimated in 2011. Hindi is the only statewide official language but most of the people in Shravasti speak the Awadhi dialect. 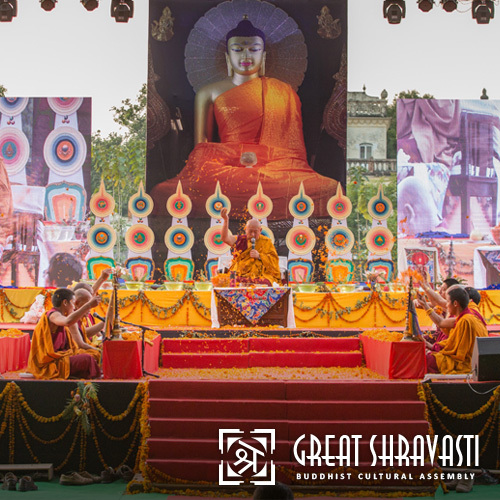 Shravasti, an ancient city connected with the life of Gautama Buddha, is one of the important Buddhist pilgrimage centers in India. There are ancient stūpas, grand vihāras and monasteries constructed by different countries such as South Korea, Śri Lanka, Myanmar, Thailand and so on. It certainly has become an important historical and religious attraction for Buddhist and tourists alike, from all over the world. About 2,500 years ago, it was one of the six largest cities of India and served as the capital of the Kosala Kingdom. Not only this, it was also a prominent trading centre and center of religious activity by Lord Buddha. 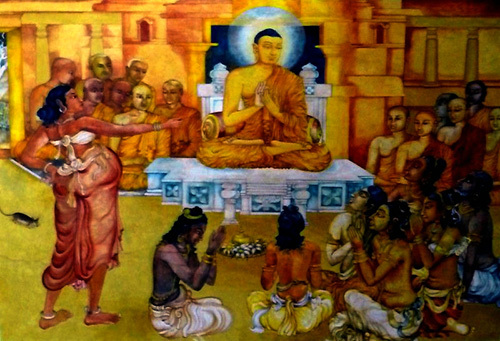 According to the history of Buddhism, The Buddha first came to Shravasti at the urging of Sudatta (Anāthapiṇḍika), a rich merchant who met the Buddha in Rājagṛha. Sudatta invited the Buddha to Shravasti and began to look for a suitable place to build a vihāra. A beautiful park at the southern edge of Shravasti attracted his attention. The park belonged to Jeta, son of King Prasenjit of Shravasti. Jeta demanded Sudatta to buy only as much land as he could cover with his gold coins. Sudatta agreed to the transaction. When the coins were laid out, only a small area on the edge of the grove remained bare. But finally, Jeta moved by Sudatta's devotion, donated valuable wood to build the vihāra. The park came to be known as Jetavana Vihāra in recognition of Prince Jeta's donation. Buddha spent 25 years living in the monastery of Jetavana, and he delivered many his sermons here.. According to the history of Buddhism, it was here at Shravasti that Lord Buddha performed many miracles to confound his critics. As per legend, Lord Buddha was sitting on a lotus with a thousand petals, manifesting himself a million fold times as fire and water emanating from his body. It was also here where Lord Buddha transformed Aṇgulimāla from a dacoit into a Buddhist monk. Shravasti was a flourishing center of learning during the Gupta period. When the famed Chinese traveler Hiuen Tsang visited this site, he found several damaged stūpa, ruins of monasteries and a palace. The importance of Shravasti can be analyzed from the fact that it was here where Buddha spent the longest amount of time with the largest amount of discourses and instructions leading to the path of nirvāṇa.